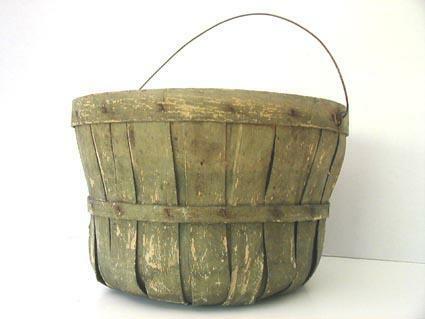 Factory made basket with original dry sage paint. Overall wear. Measures 71/2" high by 9" wide on bottom by 11" wide on top.